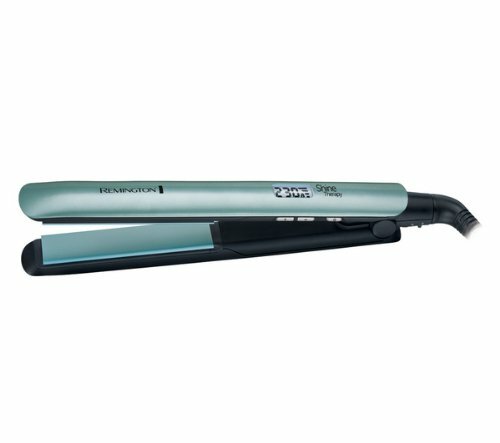 If you ignore the stuff about Moroccan Oil and Vitamin E, this is actually a neat pair of straighteners. They are very effective and will give you smooth results fast, even if you have quite thick hair. There’s no catching despite the lack of rounded edges and if it’s just straight hair, rather than wavy or curls you’re looking for, then this could well be for you. For the price, this is a great straightener and I don’t think you’ll feel like you should’ve paid for a more expensive tool if you just want straightening. I would recommend investing in a heat mat if you do go for these and it’s a shame Remington hasn’t included one. The variable temperature settings are fantastic and the digital readout is easy to control and see so it’ll be suitable for all hair types. If paying for top of the range straighteners makes you grimace, then this is a good choice but if I’m being honest, I think the Remington Pearl is a better option overall. Remington’s personal care department started up in 1937, over a hundred years after the original firearms company was born. First selling electric shavers and then eventually branching out into heated rollers, hair trimmers, epilators and electric hair tools including straighteners. They’re a household name and have a good reputation that has certainly lasted for decades. Coming in a teal/aquamarine colour with matching plates, this Remington straightener has a nice look to it; stylish and interesting. It has a clear LED display that’s easy to read and gives the temperature reading, ensuring you’re using the heat you want. The nine different temperature settings between 150 and 230 degrees, should definitely give you the freedom to pick the perfect heat for your hair and it’s an important feature here. Remington has obviously been looking for a way to separate this product from other similar quality straighteners on the market, and they’ve gone for some kind of infusion. The floating ceramic plates are infused with Moroccan Argan Oil and Vitamin E. Hmmm. I’m not totally convinced on the science here; Vitamin E, although wildly shoved into any fancy cosmetic these days, actually has not been proven to do anything if applied topically. If there’s no proof is works in face creams, I don’t see how it can do anything if it’s infused in ceramic. I can’t tell the difference anyway. I also can’t really see how the Moroccan Argan oil is doing anything either, although my hair does feel sleek and smooth after using this straightener – it does after using others too. This seems to be a marketing tool rather than a particular reason for purchase and I’m not convinced it is worthwhile for the customer. The purported 86% more glossiness is sort of in evidence, but not really more than with GHDs. 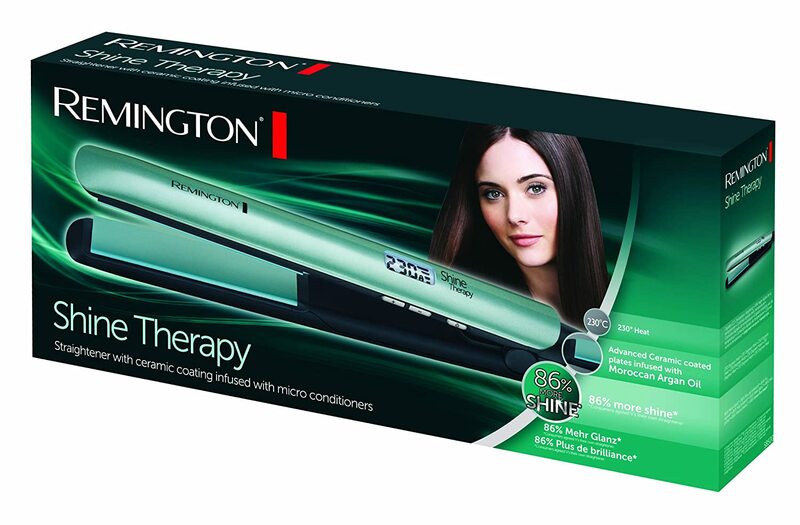 Spurious oils and vitamins aside, this Remington straightener heats up fast and glides nicely through the hair. It straightens first or second run through and the results last really well. A few years ago this would’ve been fantastic and still is but it is lacking the rounded edges that so many of its peers have. As a result, if you’re looking to get any kind of curve at the very ends or to wave your hair, you might struggle. There’s no heat mat with this, which I find kind of hard to believe because they really are essential accessories, especially with a tool that goes up to 230 degrees! If Remington had included one, this would be in my top ten favourite straighteners because it really does the job fantastically. The straighteners feature a locking mechanism that keeps them closed when not in used which is useful because it’s not good for the wire to be wrapped tightly around them. The lead is a good length and it’s pretty hard to find much fault here.